If you are heavily into a shooting activity, be it hunting or tactical, in which success is judged by extreme precision and finesse, you definitely need a riflescope that can rise to the occasion. Thanks to Leupold and Stevens, we now have the perfect riflescope for the occasion – the Mark 4LR/T. In this product review, we will explore the key features of the Leupold Mark 4LR/T, its specifications, and try to answer some of the questions that buyers frequently ask. We hope that after reading this review, you will become well informed to decide for yourself. 1.12.1 Q. Who are the manufacturers of the Leupold Mark 4 8.5-25×50 mm MR/T M1? 1.12.2 Q. Is the riflescope impact-resistant? 1.12.3 Q. 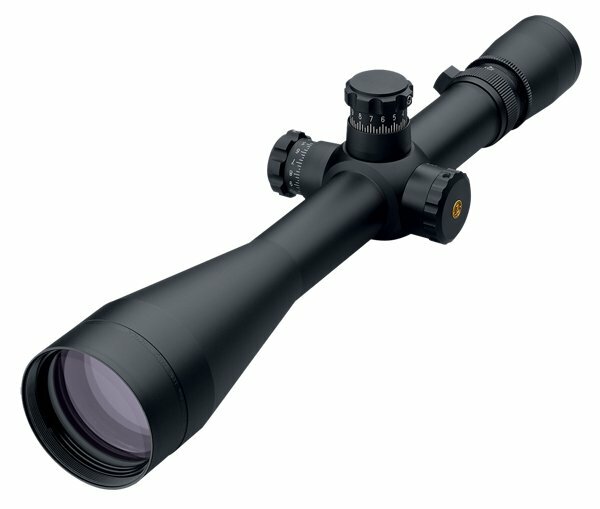 What colors can I purchase the Leupold Mark 4 8.5-25×50 mm MR/T M1 in? 1.12.4 Q. Is the Mark 4 8.5-25×50 MR/T M1 frost resistant? 1.12.5 Q. Does the riflescope come with a case for holding it? 1.12.6 Q. Does the riflescope come with a lanyard? 1.12.7 Q. What is the weight of the riflescope? 1.12.8 Q. What is the diameter of the scope’s tube? 1.12.9 Q. Is the scope battery operated? 1.12.10 Q. Is the riflescope corrosion-resistant? 1.12.11 Q. Does the riflescope come with an external power supply cable? 1.12.12 Q. Is the riflescope waterproof? 1.12.13 Q. Where is the scope manufactured? 1.12.14 Q. Does the product come with a warranty? One of the most outstanding features of the Leupold Mark 4LR/T scope comes with a none-illuminated mil-dot reticle, which comes with a number of advantages such as excellent versatility and easy range estimations. This feature enables skilled shooters to calculate the distance between them and their targets very easily, thereby significantly enhancing their shooting experience. The calculation is done using dots along the crosshairs of the scope. 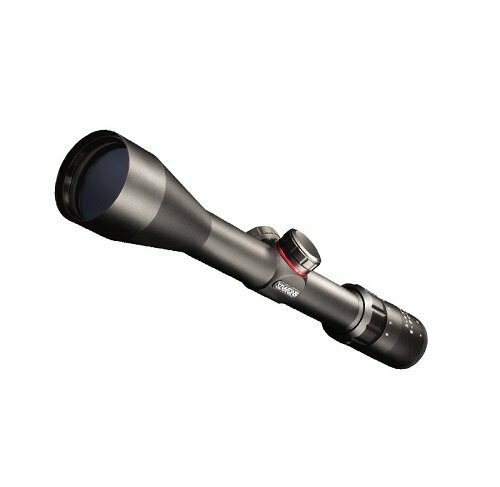 Unlike most scopes whose edges produce unwanted glare that might distort the quality of your image, The Leupold Mark 4 8.5-25×50 mm MR/T M1 has blackened edges that greatly reduce reflective glare, enable high resolution, and ensure optimal viewing experience. The scope’s spacious eye box prevents ambient light from interfering with light from the scope, and, thus, preventing the annoying situation of your view being interrupted. Also, the adequate eye relief of 3.7 to 5.3 inches that the scope proudly features not only keeps you comfortable when looking through the scope but also protects your eyes against heavy recoils. The makers of the Mark 4 8.5-25×50 MR/T M1 have taken things a step further by filling the scope with special argon gas, whose sole aim is to prevent water from forming fog inside the scope’s lens and impairing your vision. Indeed, the argon gas filling is a massive improvement on the company’s signature nitrogen gas filling (bone-dry nitrogen technology). But really, what makes the Argon/Krypton more superior than the bone-dry nitrogen technology? The simple answer is because the molecules of argon gas are significantly larger than that of nitrogen, and as a result of that they are more effective in mitigating the diffusion of the gasses contained inside the scope, thereby making waterproofing and fogproofing more effective. It is worth noting that this impressive feature also gives the scope the ability to resist the effects of thermal shock. The scope’s lens is coated with the renowned ion-assist lens coating known as DiamondCoat 2™. This coating provides an amazing viewing experience by allowing a lot of light into the scope and improving contrast and clarity. The coating also makes the lens resistant to different types of shocks and abrasions that it may be subjected to while you are in the field. Certain scopes do not come pre-designed for viewing under twilight conditions, where there’s less green light and more blue/violet, which the eyes are naturally unable to see very well. But the Leupold Mark 4LR/T isn’t like that! The manufacturers of this scope engineered it with the Xtended Twilight Lens System™ which makes use of index matched glass and proprietary lens coatings to open up blue/violet light during low-light conditions to provide you with images that are brighter and sharper. With this feature, you enjoy more flexibility in the timing of your hunting/tactical operations! Not too many scopes allow you to see as effectively as the Mark 4 8.5-25×50 MR/T M1 allows you to in twilight conditions or low-light conditions. This simply means that you can use the scope anytime you like – whether day or night. Multicoat 4 is yet another coating that the scope’s lens has been treated with in order to maximize the amount of light that flows through the scope. In addition to massively enhancing light transmission, this coating also prevents unnecessary reflections of the sky and other light in your surroundings, ultimately providing a unique viewing experience. With the scope’s 8.5-25x magnification, you can now view several minute details of your target than ever before. Furthermore, your safety is assured because such detailed viewing can be done over long distances, up to 1500 yards. It can be effectively use for both hunting and tactical purposes. It comes with a flip-back lens cover to protect lens. It is lightweight and very durable and rugged. In addition to allowing you see clearly during the day, the scope also allows you to see very clearly in the twilight or in low-light conditions. The scope’s generous eye relief keeps you safe during heavy recoils. The scope’s blackened lens edges provides you with an excellent viewing experience by reducing both glare and diffusion. It comes with flip-open lens covers that protect the lens. The scope fits perfectly onto your rifle without any problems. The scope fits perfectly on your rifle without any problems. The scope’s reticle would have been better if it were illuminated. Q. Who are the manufacturers of the Leupold Mark 4 8.5-25×50 mm MR/T M1? A. Leupold & Stevens Incorporated is the manufacturer of the Mark 4LR/T Riflescope. The company is based in Oregon, USA, and has been in operation since 1907. The company’s lines of products include: telescope sights, red dot sights, spotting scopes and binoculars. A. Yes, the tube of the riflescope has a rugged design, which allows it to withstand impact when you accidentally drop it in the field. Q. What colors can I purchase the Leupold Mark 4 8.5-25×50 mm MR/T M1 in? Q. Is the Mark 4 8.5-25×50 MR/T M1 frost resistant? A. No, there’s no carrying case included in the scope’s package. A. No, the riflescope doesn’t come with chords for holding it. A. The riflescope weighs 22.5 oz. Q. What is the diameter of the scope’s tube? A. The scope’s tube has a diameter of 30mm. Q. Is the scope battery operated? A. 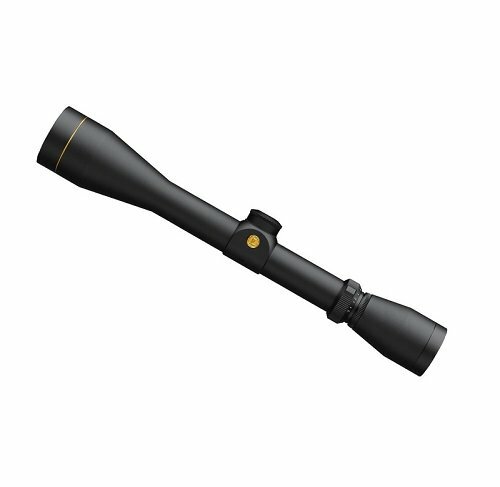 Yes, the scope’s body is made of 6061-T6 aircraft grade aluminum, which is rust-resistant. A. No, there’s no external power supply cable included in the scope’s package. Q. Is the riflescope waterproof? A. Yes, the riflescope is filled with Argon/Krypton gas in order to resist water and other forms of abrasion. In addition to being waterproof, the scope is also fogproof and shockproof. Q. Where is the scope manufactured? A. Yes, it does. It comes with a full lifetime guarantee. Now that you’ve read this review of the Leupold Mark 4 8.5-25×50 mm MR/T M1, we hope that you can appreciate the scope’s many features, including: spacious eye-relief, multicoated lens, 8.5-25x magnification, 50mm objective lens, and blackened lens edges, just to mention a few, work together to provide an optimal viewing experience.